Why do standards matter and how do they benefit AM? ​Over the course of just a few years, additive manufacturing (AM) seems to have emerged as a catalyst in reshaping product development and, perhaps, the manufacturing business model itself. But for AM to truly achieve its potential, a set of widely accepted, comprehensive standards should be developed, the absence of which may hinder large-scale adoption of the technology. In ways perhaps unthinkable a few years ago, additive manufacturing (AM)—otherwise known as 3D printing—has evolved dramatically in the sophistication of its technologies, processes, and materials. AM has found a home in an ever-wider range of applications and industries—from aerospace and medical instrumentation to consumer products and beyond.1 And, thanks to the fruition of Industry 4.0 and the digital thread, AM seems to have emerged as a catalyst in reshaping underlying assumptions about product complexity, supply chain logistics, and possibly even the manufacturing business model itself.2 AM is not just for prototyping anymore. Virtually every relevant metric underscores the explosive growth in AM and how practitioners are deploying it. In 2016, 424 AM-related patents were issued by the US patent office—roughly three times the number in 2006 and 20 times the number in 1996.3 Some 13,000 AM industrial systems (value of $5,000 or more) were sold in 2016, approximately twice the number in 2011.4 Even a simple Internet search reveals that the term “additive manufacturing” is three to four times more common than it was just five years ago.5 The list goes on. Still, such remarkable progress inspires a set of very real challenges that may serve to impede even wider adoption of AM in industrial settings. Perhaps none is more nettlesome than the lack of a widely accepted comprehensive set of technical standards within AM. The absence of such standards may adversely affect a host of AM process objectives—from uniform design quality to interoperability—which may hinder the continued industrial adoption of AM. To be sure, some stakeholders throughout the AM ecosystem have begun to recognize the challenge at hand and have stirred to action. Key in this regard seems to be America Makes and the American National Standards Institute (ANSI) joining forces to establish the Additive Manufacturing Standardization Collaborative (AMSC). The AMSC is a body comprised of the full array of interested stakeholders worldwide—including OEMs, government, academia, standards consortia—and aims to create a road-map assessment of the state of standards and standards gaps in AM.6 In early 2017, AMSC published its initial draft of this assessment—Standardization road map for additive manufacturing, version 1.0 (hereafter referred to as “the AMSC road map”).7 Other, more focused efforts to shape standards for the AM industry are also underway. In this paper, we discuss the purpose and potential benefits of using AM standards, how business leaders can apply them to adopt AM solutions, and what to do in situations where they are not available. In particular, we use Deloitte’s model of the digital thread for additive manufacturing (DTAM) on a phase-by-phase basis to analyze the status of AM standards today, as well as gaps in AM standards and their associated implications. Capital versus scope: Economies of scope influence how and what products can be made. The flexibility of AM facilitates an increase in the variety of products a unit of capital can produce, typically reducing the costs associated with production changeovers and customization and, thus, the overall amount of required capital. Some standards refer to business processes and the ways that businesses and business practitioners should conduct themselves within a given industry or specialization such as law or accounting. Other standards refer to technical systems and processes and it is these technical standards on which we focus in this paper. In this paper, we refer to “standards” as those technical methods, processes, specifications, and definitions with respect to a physical system on which there is general agreement as promulgated by recognized standards organizations (see the sidebar, “Standards organizations”). In any particular aspect where there should be a technical standard, but there isn’t, we say that a “standards gap” exists. Some, although far from all, standards gaps are filled by prevalent and generally accepted custom and convention in what are termed de facto standards—de facto because such customs and conventions do not have the seal of formal standards bodies. In this paper, we refer to “standards” as those technical methods, processes, specifications, and definitions with respect to a physical system on which there is general agreement as promulgated by recognized standards organizations. Within a given country, it is the National Standards Body (NSB) that helps coordinate the individual efforts of the SDOs of that country. One of the most prominent international standards organizations is the International Organization for Standardization (ISO). At a high level, a key mission of the ISO is to harmonize technical standards across geographical regions. Because standards do not in themselves carry the force of law, the imprimatur of highly recognized standards organizations such as the ISO becomes obvious. But at a more fundamental level, standards are important because they define the rules and provide benchmarks and best practices. Standards are necessary to ensure that such rules of the game are established, adhered to, and respected by all stakeholders. For example, in manufacturing, standards are often essential, as they outline the parameters that must be met to deliver a quality product. Raw materials, machines, tooling, equipment operators and engineers, suppliers and the manufacturing process itself, all need standards and a mechanism for qualifying/certifying against those standards, in order to make parts with the requisite quality. Standards can also help organizations escape the inertia of the status quo—a difficult task in any established industry. Standards provide organizations with a framework to develop a sound business case and inform how to train employees appropriately. They reduce overall risk and, essentially, define what “right” looks like. Standards can be particularly important for emerging, highly technical industries, such as AM, because they provide the foundational element on which the industry might be built. Today, quality parts can certainly be made via AM, but widely adopted standards would help the quality over long production runs. Ongoing efforts to establish AM standards should define the requirements for AM production, helping to enhance consistency in current small-run operations and ensure quality as production and market adoption grows. As standards help assure quality for a larger volume of parts, the AM industry can scale, reach new levels of efficiency, and garner additional benefits from AM use. Quality standards can also be particularly important for AM because there are arguably more factors to consider than for conventional manufacturing; now, digital design standards, interoperability standards, layer-by-layer material/build process parameters, microstructure strength, porosity, and post-processing/curing standards, among others, should all be considered. In a complex industry with a plethora of variables at play, AM standards should provide the “guidebook” or “yardstick” for implementation. Such background suggests that the potential benefits in developing and applying standards to an AM process are numerous—too numerous, perhaps, to list in this paper. Still, in this section, we present several of what we view as key categories of potential benefits that inure to organizations in the application of standards to the use of AM: risk mitigation, greater efficiencies, improved repeatability, and more consistent quality (figure 2). Standards can be particularly important for emerging, highly technical industries, such as AM, because they provide the foundational element on which the industry might be built. Adopting standards may serve to mitigate and control risks associated with AM in ways that cross many domains such as worker safety, security of information, intellectual property, the manufacturing process, and control of the supply chain. AM standards on safety, for example, provide the opportunity for a business to reduce environmental and equipment hazards that threaten workers who operate and work around AM systems. Without standards related to cybersecurity, proprietary data may be vulnerable to unlawful access. While standards will not fully mitigate all risks attendant to the AM process, risks can blossom in their absence. Given the highly flexible, customized, and emerging state of the AM process, repeatability of the AM process often serves as an enduring challenge.18 What standards do, perhaps more than anything else, is to define parameters—how something should be accomplished, how a raw material should be transported or stored, etc. In effect, standards should provide a sense of predictability and, as such, repeatability within AM. Modern industrial applications rely on a strong base of accuracy and precision that is repeatable. A strategy for handling these three key areas when using AM is important if one is to achieve the level of accuracy, precision, and repeatability that has come to be expected by the marketplace. Relatively speaking, standards are well established with respect to the traditional manufacturing production process and many of these may apply to AM as well.22 However, there are areas where additional research should be conducted to address uncontrolled variables introduced by the use of the AM production process and business leaders should consider these possibilities. For instance, powdered metal may include small amounts of gases that are trapped in the material, creating the potential for anomalies in the AM process, should those gases release or voids occur in the printed part.23 Numerous such questions abound about the effect of the AM process on the standards of traditional manufacturing. Because materials used in AM are commonly found in traditional manufacturing processes, standards related to storage, handling, and transportation are relatively well articulated.24 Still, it is important for business leaders to consider what the printing process itself will do to the material and how this may be used to improve the product. For example, AM may introduce inherent molecular deformation, which may actually prove beneficial in high-stress use cases where temperature, pressure, or substance could actually be balanced out by the material stresses.25 This would require standard(s) against which materials, printing processes, and inherent material stresses can be judged. Applying standards on the data produced from the AM processes is the final and perhaps most challenging area. Our digital world is developing at an exponential pace as data formats and processing requirements seem to evolve every few years. With the “thread” approach to manufacturing becoming increasingly pervasive, it could be almost essential to consider the longevity of the AM digital presence and how rapidly anything we produce digitally will likely no longer be transferrable to the next file format. While standards such as the .STL—a standard format for sending instructions to the 3D printer—exist and are widely applied today, there is an ever-present desire for something better.26 A major challenge facing the application of data standards is how to build in longevity into the standard. Thus, AM should begin to invest effort in producing data and information standards that can be easily updated and copied to the next generation of hardware and computers. Overall, there is much that business leaders should consider as they ponder the decision to adopt AM solutions and the standards that they will require. In this section, we discussed such considerations at a high planning level. In the next section, we will examine the actual status of standards within AM using Deloitte’s model of the digital thread for additive manufacturing as a guide. There is little doubt that the manufacturing enterprise—and all of its associated supply networks—is becoming increasingly digital. Such a digital transformation undergirds what is commonly called the Fourth Industrial Revolution or Industry 4.0. And at the core of this modern manufacturing ethos is what is termed the “digital thread”—a seamless stream of data that follows the life cycle of a product, beginning with the initial design, testing, subsequent revisions, and finally production and deployment. The terminus of the digital thread is at the end of the product’s usable life span. Until recently, information about product performance in the hands of a consumer, functional testing data, and initial design requirements remained largely isolated, thereby convoluting the effectiveness of product releases and marketability. But with the advent of direct integration in manufacturing, embedded sensors, and network-connected hardware, data can be harvested from all of these portions of the product life cycle in near real time. But a challenge has also rapidly become evident: standards in the data collected. Today, many hardware platforms are isolated by tightly controlled data formats and nonstandardized cross-platform drivers. But of course the challenges can go well beyond data standards. They could touch upon all of the actions that comprise the phases of the digital thread. The digital manufacturing enterprise may leverage traditional subtractive techniques, additive manufacturing, or some hybrid of the two. Figure 3 depicts Deloitte’s model of the digital thread for additive manufacturing (DTAM). A look at how standards and standards gaps may apply to the DTAM on a phase-by-phase basis follows. The reader should keep in mind that such discussion is only representative of the standards and standards gaps that may apply for a given phase within the DTAM and the DTAM overall. An exhaustive phase-by-phase analysis is beyond the scope of this paper. For more information about each phase of the DTAM, see 3D opportunity and the digital thread: Additive manufacturing ties it all together. For more information about Industry 4.0, see Industry 4.0 and manufacturing ecosystems: Exploring the world of connected enterprises. In the scan/design + analyze phase of the DTAM (figure 4), a part is digitally designed by way of CAD tools or by scanning an actual object. The digital design is then subject to an array of analytical techniques ranging from simple force analysis to more sophisticated finite element analyses. Thanks to subtractive manufacturing processes, engineering drawings are able to define features on a product by assuming a consistent, geometrically defined profile. But AM can create a variety of organically shaped, nongeometric parts. With such unusual, almost organic shapes it can become very challenging to define the part's features in terms of absolute design features. We likely need new ways of calling out these features, underscoring the critical role that standards may play in this regard. Note that in this and subsequent phases of the DTAM, we offer an assessment that gauges the maturity level of that phase’s standards relative to those of other phases. The fuller the Harvey Ball, the more relatively mature that phase’s standards are. Design-related standards gaps can serve as critical impediments in successful AM product assembly. Such standards gaps may result in designers having little end-to-end understanding of AM’s limitations within a specific design context. As a result, designers may overstep and create top-level assemblies that cannot be assembled. Expensive redesign may be required, reducing productivity and reliance on the overall AM system. The other possibility in consideration of design-related standards gaps is under-stepping: Designers may not maximize AM strengths and design parts with the same geometries as subtractively manufactured parts, leading to simply slower production and more expensive parts. Gaps related to data formatting and interoperability typically imply a breakdown or at least suboptimal exploitation of the DTAM overall. To say the least, a complex matrix of manufacturing processes, technologies, and materials have come to characterize the build + monitor phase. And as demand for new AM applications is ever increasing, that matrix is seemingly becoming more complex. Yet, given the variety of the ways in which AM products are made, no single standard could likely ever apply to all situations. And, with the ever-greater granularity of AM process, technologies, and materials, the need for better defined standards appears to become all the more pressing. It is worth noting that many of these standards apply to the material itself, and do not necessarily refer to the AM application of the material, however relevant they are to AM. Such is especially the case with respect to standards related to the transportation, handling, and storage of materials. Failure to develop these materials, machine calibration and maintenance, and post-processing standards may result in lowered quality assurance, thereby narrowing the range of possible AM applications. These reductions in market share may deter many industries from adopting AM technology or AM-produced parts as the assurance of reliability is absent. Perhaps no other portion of the DTAM demonstrates the necessity of standards better than test + validate. It is here that manufactured parts are compared against their original requirements to validate they have been produced to preestablished quality parameters. If parts are deemed acceptable, they may proceed to the consumer. If not, they would be either reworked or discarded. Too low a qualification standard and sales opportunities are lost to a lack of consumer trust in the product’s low quality standards; too high a qualification standard and sales opportunities are lost either due to rework or the increased production cost associated with the tighter standards. ISO/ASTM 52900:2015 (“Additive manufacturing—General principles—Terminology”)—a general overview of AM terms, definitions, etc. Failure to validate that parts are compliant with initial requirements could result in premature or unexpected life cycle failures, leading to a distrust of printing technologies and subsequently lower adoption rates of printed products. Conversely, parts that are overdesigned initially to cope with these issues might sacrifice performance, size, or cost to achieve the same goal, thereby reducing AM’s competitive advantages over traditional manufacturing. After the part leaves the factory comes the ultimate test: Will it work? Receiving useful feedback about the part’s performance can be as important to successful field deployment of a product as is the part performance itself. This is the end of the digital thread, the point at which the data of one product life cycle begins to inform the creation of the next one (figure 7). As mentioned, the assurance of interoperability is important throughout the DTAM and this phase is no exception. Indeed, what is arguably most important in this phase of the DTAM is the ability for platforms to talk and share information through interoperable languages and data formats without compromising cybersecurity. Interoperability of software/data platforms and sources helps evade premature obsolescence, which helps ensure the longevity of data, which is so fundamental to continuous feedback on deployed product performance—a potential challenge considering the pace of computer development. If the data loop is truly not “closed” and internal data dissemination is not efficient or simply not happening, the company would lose insight into product performance and opportunities for product improvement and innovation. Without this closed data loop, customers may very well question the value of data capturing, potentially resulting in a significant loss in customer confidence, particularly if the customer thinks that the company is not innovative. A successful DTAM depends on, among other things, the ability to retrieve deployed product performance data and ensure that it gets to the right internal stakeholders for further product improvement. Much effort can be put into creating standards to track the health of a product while in operation, but if the data doesn’t find its way back to the original engineering team and other interested internal stakeholders to inform the design of the next generation production, then the data capturing itself is a wasted effort. The “closing” of this loop is not merely in the retrieval of the performance data, but in the proper internal dissemination of those data. The apparent gap in standards related to this “closing” of the product life cycle loop specifically within a DTAM environment represents a potential issue. The above analysis looked at standards on a phase-by-phase basis throughout the DTAM. Yet, however much we may have discussed a particular standard within a particular phase, it bears emphasis that the DTAM is fundamentally a thread. What happens in one phase can affect what happens in every phase. Indeed, the above analysis should be understood in that light. Interoperability is, in effect, an ideally fertile area in which to apply standards as it represents the seamless exchange of information, materials, and hardware between locations, applications, and organizations across the entire thread. Given the fast pace of change for AM, industry standards may not exist for all areas of AM operations. So what should organizations do in the absence of AM industry standards? At a high level, serving as a member of an industry standard development committee and participating in the collaborative development of AM standards in a standards development organization could help. Participation in an industry standards development organization would provide access to a network of other industry professionals whose lessons learned, best practices, and personal experiences developing and applying standards will likely speed along a company's learning process, provide access to leading-edge ideas and solutions, and allow for the infusion of influence in what may become the next industry standard. A more intensive approach may also be an option: Develop your own standards where gaps exist. To do this, the company should know the goals and objectives that are associated with each standards gap area. Is it to maximize profit, lower manufacturing costs, improve product or part performance, etc.? Once the standards gap areas and associated objectives are known, the organization should focus on the development of internal standards in areas that are expected to hold the greatest promise to extract value for the company relative to necessary investment. In developing a standard, the objective would be to define the specific steps (for instance, hardware set-up, post-processing, environmental monitoring and control) and process variable settings (that is, those settings that take place each time a step in the AM process is to be performed) which your organization would use in order to achieve consistent and repeatable execution. This approach may essentially require experimentation to determine the desired steps, sequencing, and variable settings that can provide the organization with the desired outcome, whether it be repeatability, consistency, quality, product performance, or other objectives. Once the experiment is conducted and the steps, sequence, and variable settings are defined, the details would be documented and communicated to staff and personnel as the new, internal company standard. Identify need: Define triggers and steps in the process where the company needs a standard (that is, where a gap exists). Determine variables and isolate them: As an example, determine printer settings available, then print using each variable and measure the outcome to understand the impact of the setting on the part printed. Express your vision of success: Define hypothesis on what will work best, what challenges need to be overcome, and document your expected result. Plan data collection: Determine how you will measure the results of each pass of your process and variable settings. An example might be to identify how you will measure if your additively manufactured part met reliability requirements or how you plan to measure the humidity inside a printer during operation. Run an experiment: Run your experiment several times, testing each variable in isolation, and measure your results. Make observations and draw conclusions: Analyze the data collected to see which variable settings provide the best outcome or best achieves your AM objectives. The best settings may likely become your new standard where industry standards do not exist. To be sure, this approach may be time-consuming and costly, and requires painstaking attention to detail. Moreover, the company that develops such internal standards must confront the difficult choice of whether to share such standards with potential competitors and the larger AM community in a spirit of comity, or treat them in a proprietary fashion. Despite these challenges and choices, the development of internal standards may be your only viable option and, in fact, may very well become the basis on which your AM process or product stands out in the marketplace. The earliest roots of AM extend back to the mid-1980s. In a similar fashion, the use of standards in AM applications did not just begin in the past few years. But it seems clear that a concerted effort is underway to organize the landscape of AM standards. And, with burgeoning and wide-ranging industry involvement globally, the momentum may likely only continue. None of this is to say, of course, that the path forward will be easy or entirely without setbacks. Each industry and application will likely require standards that reflect its respective needs and constituencies. Consensus and coherence will require some measure of time—as stakeholders in other emerging technologies such as the Internet of Things have come to understand. In truth, there may be no state of absolute completeness in which AM standards do not continue to evolve to reflect emerging applications, technologies, and processes. Still, let there be no doubt—where the matter of AM standards development is concerned, the boat has assuredly left port. 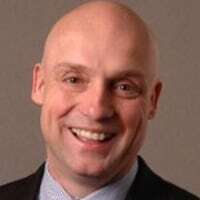 Brian Tilton is a specialist master in Deloitte Consulting LLP’s Federal Supply Chain and Manufacturing Operations practice and is located in Arlington. 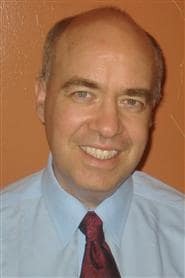 Ed Dobner is a senior consultant at Deloitte Consulting LLP within the Strategy & Operations practice and is located in Arlington. Jonathan Holdowsky is a senior manager with Deloitte Services LP and is part of Deloitte’s Center for Integrated Research and is located in Boston. The authors would like to thank Mim Williams and Terry Horton of Deloitte Consulting LLP and Brenna Sniderman of Deloitte Services LP for their assistance in the preparation of this article. 3D opportunity for standards has been added to your bookmarks. 3D opportunity for standards has been removed from your bookmarks.